Davidson Mayor Rusty Knox, Commissioners Autumn Michael and Jane Campbell, as well as town staff, met with representatives from Charlotte Mecklenburg Schools (CMS) on Wednesday to consider collaborating on the future use of the old CMS school building on South Street. Stewart Grey, a Davidson resident and preservation planner for the Charlotte-Mecklenburg Historic Landmarks Commission, also joined in the meeting. The gathering at the school and included a tour of the facility. The building, constructed in 1948, is owned by CMS. But the large increase in the town’s population led to construction of the current Davidson Elementary School, negating the old building’s original purpose. For a time, it was used as an International Baccalaureate Middle School. For the past seven years, it has been leased to a local private school, but that group is relocating its operations to Huntersville next year. 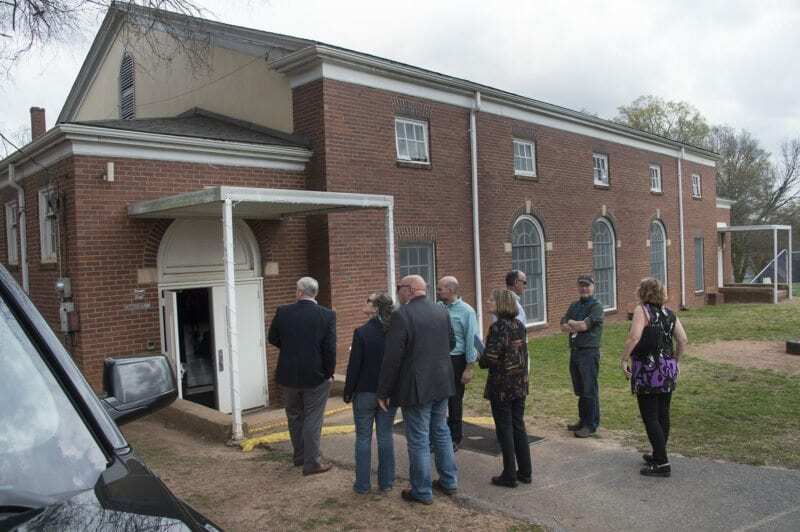 Davidson’s elected officials are interested in striking a deal with CMS that would repurpose the building to become the much-needed town administrative offices while repurposing a historically significant building in town. CMS would also use a portion of the building as its North Learning Center administrative offices. The deal could save the town some money. The previous town board approved moving forward with preliminary plans for building a new public facility adjoining town hall to be used for administrative offices, and renovating the current town hall building for use by the police and fire stations. Initial cost estimates for a new building are roughly $13 million for a 22,000 square-foot structure. There is not yet a cost estimate for renovating the old school instead, but the price tag could be lower. The plan for a new building was drafted by Creech and Associates architects of Charlotte. The town is now asking Creech to switch gears and examine the feasibility of renovating the old school for town offices instead. Mayor Knox and Commissioner Michael met two weeks ago with CMS facilities director Peggy Hay to discuss the fate of the old school. More recently, they met with CMS superintendent Dr, Clayton Wilcox, who indicated CMS might be interested in entering a long term lease on the building with Davidson, if the town would pay for the renovation. The old school building is 38,000 square feet and features a 300-seat auditorium. If the plan works out, CMS would occupy approximately 4,000-to-6,000 square feet for its Learning Center-North, leaving the town with more than 30,000 square feet for offices, as well as community gathering and meeting space. The property also features an old gymnasium that was built in the 1930s. 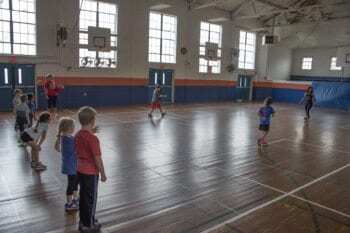 It has served as physical education space for the schools that have occupied the space, and still could be used by younger children for indoor sports. The property holds additional historical significance for the town. It was donated by the Shelton family in 1892 for the purpose of building a school. The Davidson Academy began in 1893 and became a public school in 1918. The original school building caught fire in an electrical storm in 1946 and was replaced by the current building. 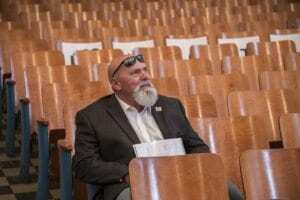 Negotiations will continue as the town elected officials and staff consider their options, after Creech and Associates provide them with more information about the extent and cost of needed renovations. Bill Giduz was the son who followed his father’s footsteps into journalism. He has been involved his entire life with news and photography in schools he attended and jobs he’s held. He believes now that he’s got a few good years left to devote to The News of Davidson.